VACHO is the peak body for the health and wellbeing of Aboriginal people living in Victoria, representing 100% of Aboriginal Community Controlled Health Organisations (ACCHOs) in Victoria. It is the leading advocate for the health of Aboriginal people in Victoria. 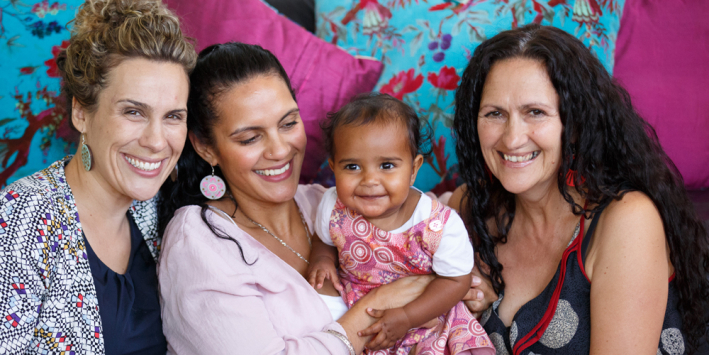 The resource You and your boorai is for Aboriginal and Torres Strait Islander women who are pregnant and have issues with drugs and alcohol. The resource is also for their families. Aboriginal and Torres Strait Islander communities value, respect and care for mothers and boorais. We recognise that history is important and that community and culture contribute to your boorai’s growth into a strong and healthy person. The Royal Women’s Hospital acknowledges and pays respect to the People of the Kulin Nations, the traditional owners of the country on which our sites at Parkville and Sandringham stand and we pay our respects to their Elders past and present. We wish to acknowledge the support of the Victorian Government and thank those who generously contributed to the development of this resource, in particular the Victorian Aboriginal Community Controlled Health Organisation Inc., Victorian Aboriginal Health Service, Njernda Aboriginal Corporation and Echuca Regional Health. The latest version of the 'You and your boorai' PDF and worksheets can be downloaded below. To order more copies of 'You and your boorai', see the contact information on this page. If you print the PDF yourself, the way it looks will depend on the kind of printer you have. A home printer will probably print each page as an A4 sheet. Some professional office printers can print the pages as a A5 booklet.